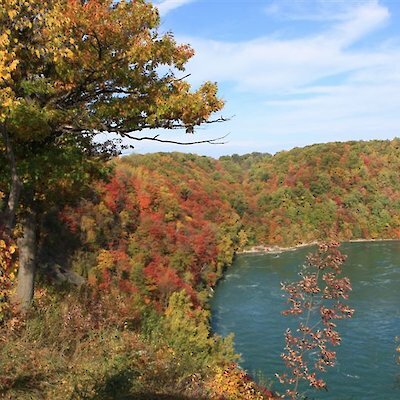 This is the perfect time to visit Niagara if you want to see the wash of autumn colours. It’s like nature has opened up her paint box and tinted Niagara with delectable shades of russet, crimson, amber and gorgeous reds and yellows. Travelling the tree-lined Niagara Parkway is a new experience in autumn. 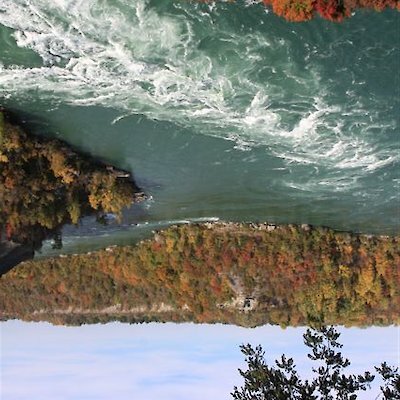 One particular spot to take-in is the lower Niagara Whirlpool. It looks like it’s on fire. Here are a few photographs I took yesterday to wet your appetite.